If you are looking for a good local place to kick back and have a drink with some friends this is the place to go, you wont be disappointed. 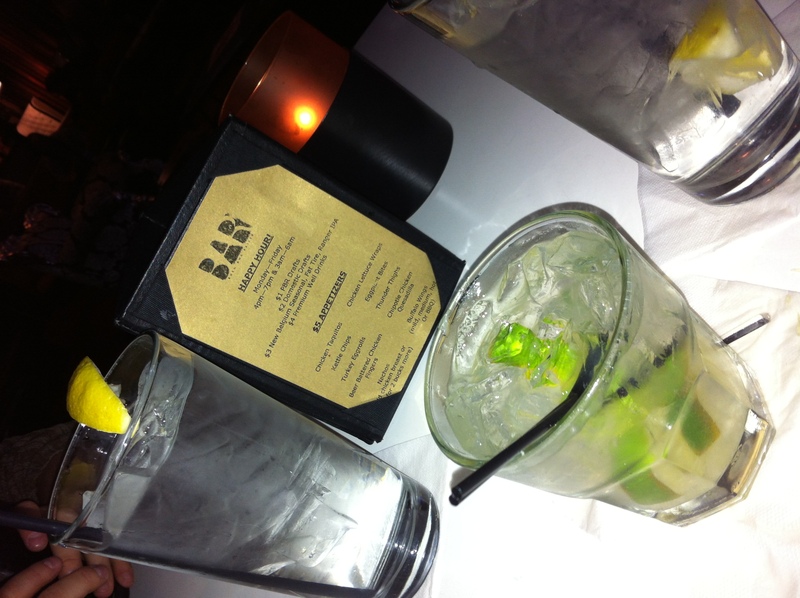 I have had the pleasure to eat here at B.A.R = Born And Raised on a couple different occasions, and I know I will be back. This is a lovely place owned by locals and for locals and when you walk it you know this is a bar for locals and the food is delicious. 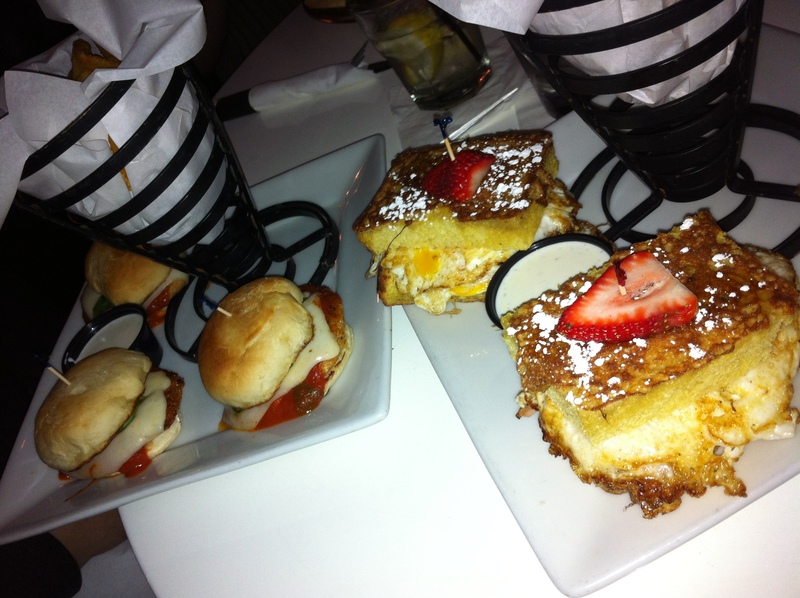 On my last trip here we had the Chicken Parm (left) sliders & Monte Cristo Sliders (right). My friend and I gave each other one of ours so that we could taste them and both slider orders came with french fries, you can get onion rings or sweet potato tots for an upcharge. I’ll start with the Chicken Parm that she gave me to try, this was really good it was a parmesan encrusted chicken breast smothered in tomato sauce and topped with melted mozzarella cheese & basil. This was the perfect combination and I would go back and order this as my meal. The flavors melded really well together into a perfect little bite. I ordered the Monte Cristo which is turkey, ham & swiss cheese on texas toast dipped into batter and pan fried. It is then drizzled with maple syrup & powdered sugar. It was like having lunch and breakfast all in the same meal. I will definitely have this one again and I will take them up on their offer of some maple syrup on the side to dip it into. Because i will admit that it needed that extra bite of sweetness. Also I will say that I didn’t taste the cheese that much I think it was lost in everything else, but it didn’t hurt the overall appeal and taste of the dish. I can’t talk about a bar and not show you at least one picture of a cocktail. I ordered a gin & tonic, which I have to say is one of the best ones I have had in the valley. It was the perfect balance so the bartender knows how to pour. My friend had a vodka water and she said the same thing that it was a perfect mix and a great way to end our day of moving. The do have a happy hour which I have not attended but it runs Monday – Friday 4pm – 7pm & 3am – 6am; they have drink specials and food specials ranging from $1 beer to $5 appetizers. My only critique about this place was during this visit our waitress was a little aloof, I am not sure if it was because we were getting more food than drinks but it did put me off. But luckily my first visit there the waitress was on point so I am going to chop it up to just a busy day for them.